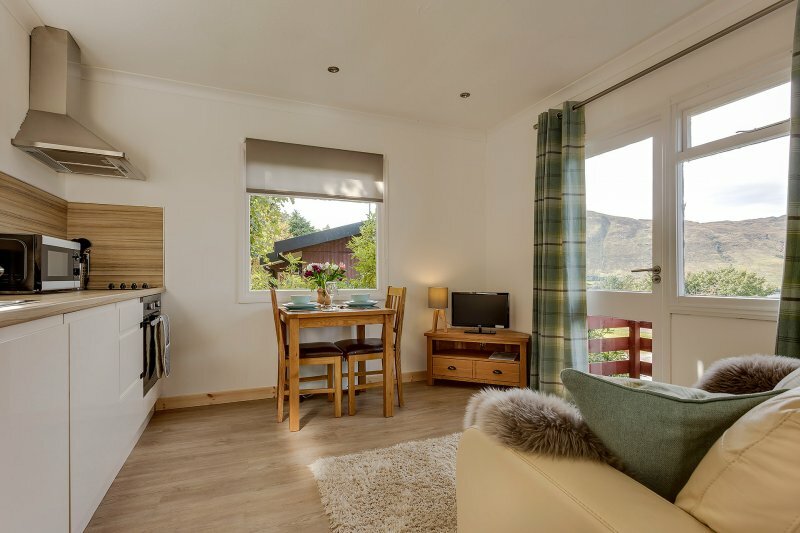 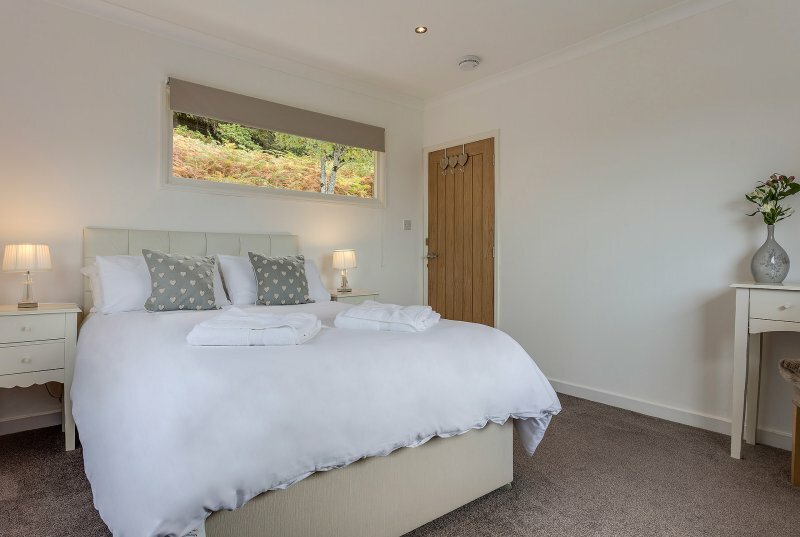 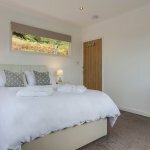 Loch Broom Chalets have names connected to animals and nature and are nestled onto the hillside within a forest setting with the most incredible views over Loch Broom and the surrounding mountains. There are several steps that lead up to the chalets where you can enjoy the dazzling views. 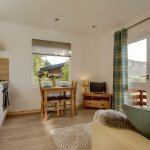 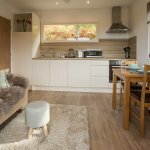 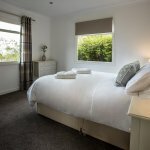 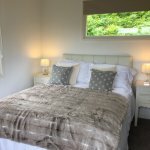 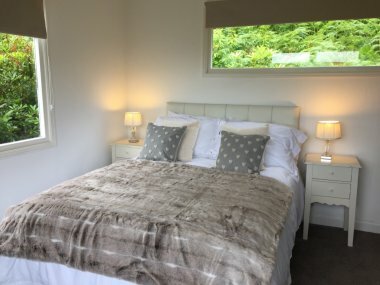 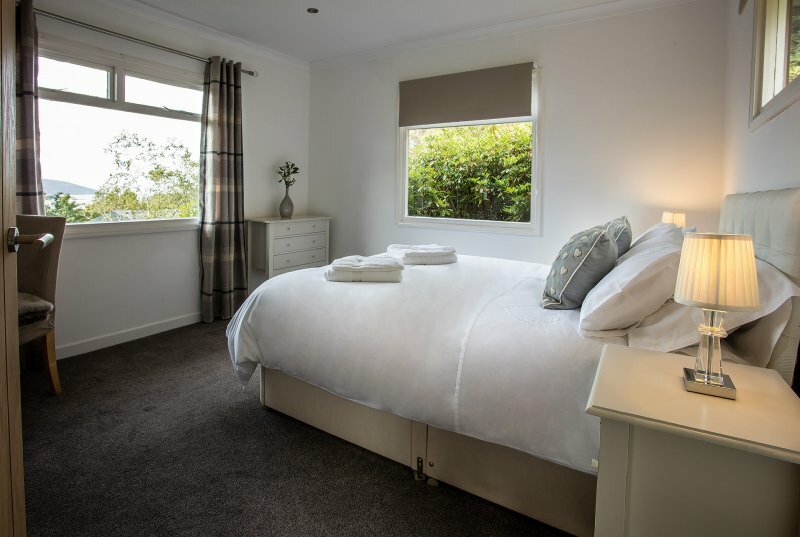 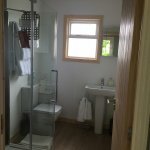 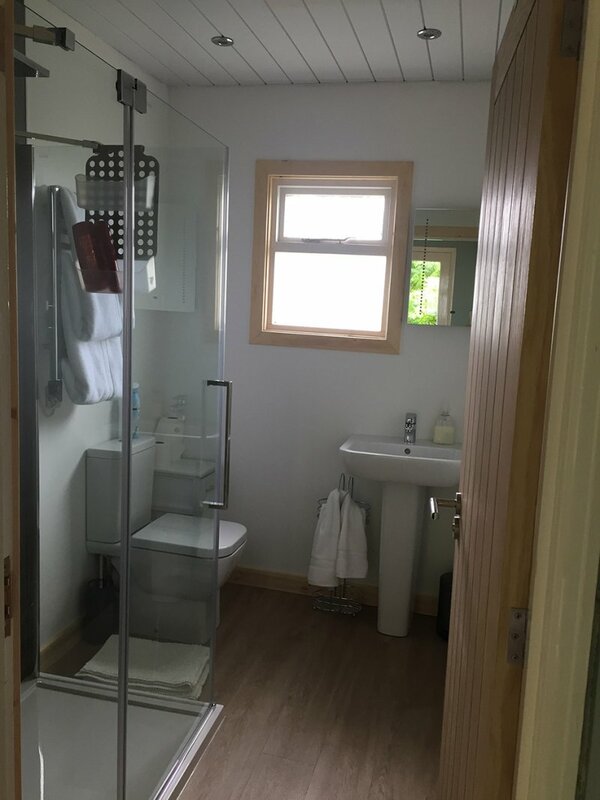 The chalets are compact and very cosy with everything you will need for a self catering holiday. Everything is very fresh modern and new in The Stags Rest and The Squirrels Leap which have been completely refurbished. 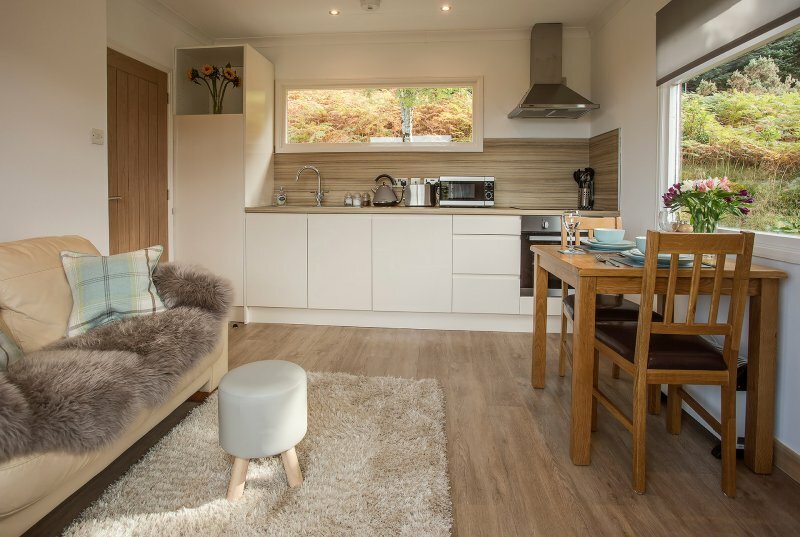 The Eagle Hyde is our budget chalet suitable for families or a group of 4 persons travelling on a budget. It has the best sea views but as it hasn't been refurbished yet, this has been reflected in the price. 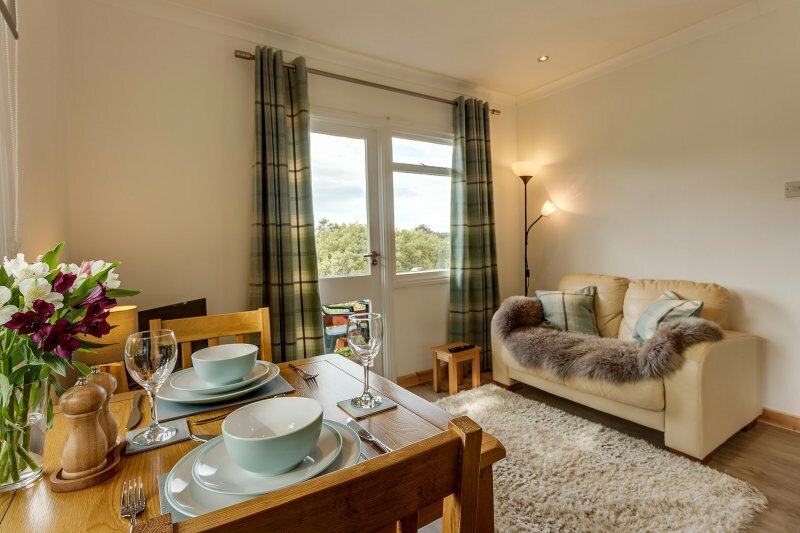 Ullapool has a great selection of pubs, restaurants, shops and a large Tesco Supermarket. 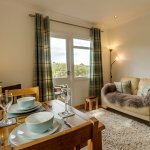 It's a great location for exploring the Highlands and you can also catch the Ferry to Isle of Lewis from Ullapool. The super combination of forestry, loch and mountain views will help you unwind and relax. Fiona & Ian bought Loch Broom Chalets May 2017 and are currently working their way through a refurbishment programme.